Hampshire, IL – December 16, 2017 – Trainer Liz Atkins of Benchmark Stables in Hampshire, Illinois is ready to hit the ground running for the 2018 show season, especially after a tune-up from the legend himself, George H. Morris. 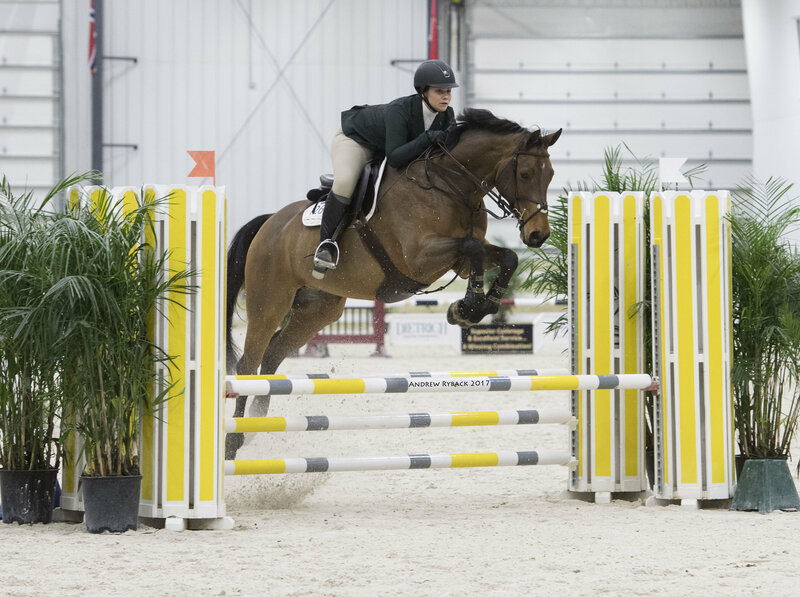 With a list of horse shows on the calendar and the Benchmark Stables International Sale Horse Showcase and Jumper Derby scheduled at her facility in May, she is enthusiastic and is ready to take 2018 by storm. 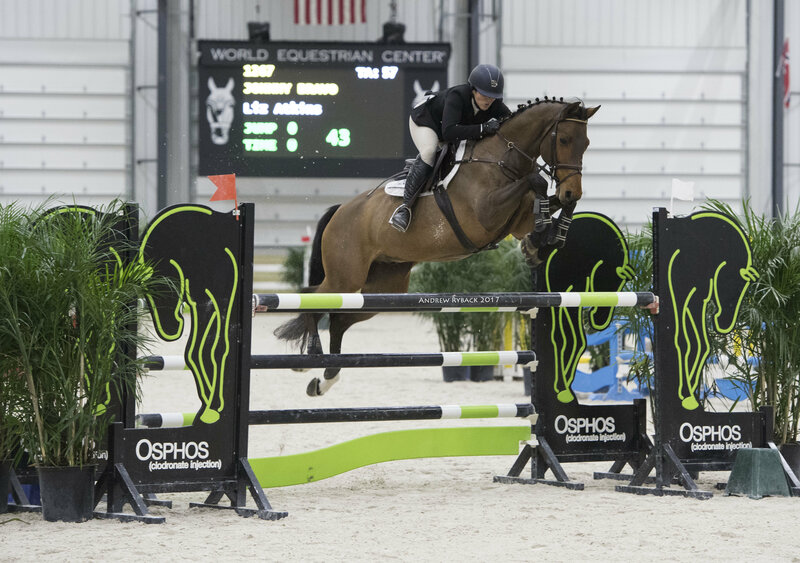 Atkins participates yearly in the annual George H. Morris Chicago Clinic at Rush Weeden’s Brookwood Farm on Thanksgiving weekend, this year taking two of her mounts for the intensive 3-day schooling session. Atkins is making a comeback after a broken collarbone in June left her training from the ground for the season. 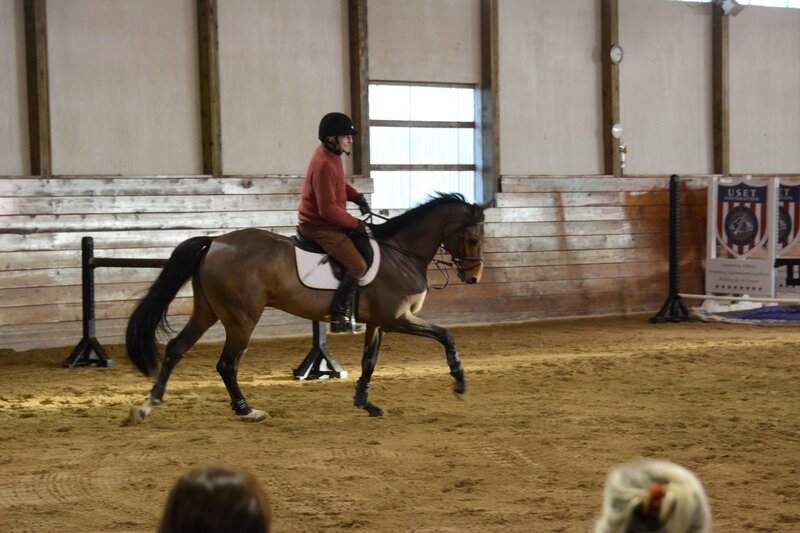 She got back in the tack in time to prepare for the clinic, which included a lot of discipline and riding without stirrups. Fortunately she has a stable of incredible horses to help get the job done. George Morris put Johnny Bravo through the paces during the clinic. Liz Atkins and Johnny Bravo jump the 10' water during the Chicago clinic. Atkins takes every opportunity to train with Morris. She was hand selected for the 2015 George H. Morris Gladstone Program training session held at Brookwood Farm and schedules in the Thanksgiving weekend clinic automatically. 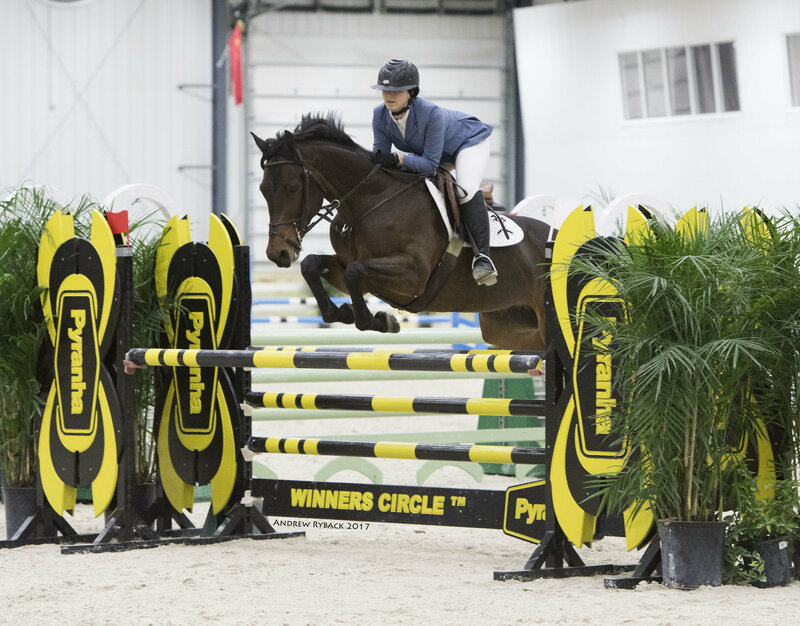 Atkins turned professional in 2014 and was named Top Young Professional Grand Prix Rider by USHJA that same year, after a successful career as an Amateur-Owner Jumper rider. She now welcomes customers to her custom built farm in Hampshire. 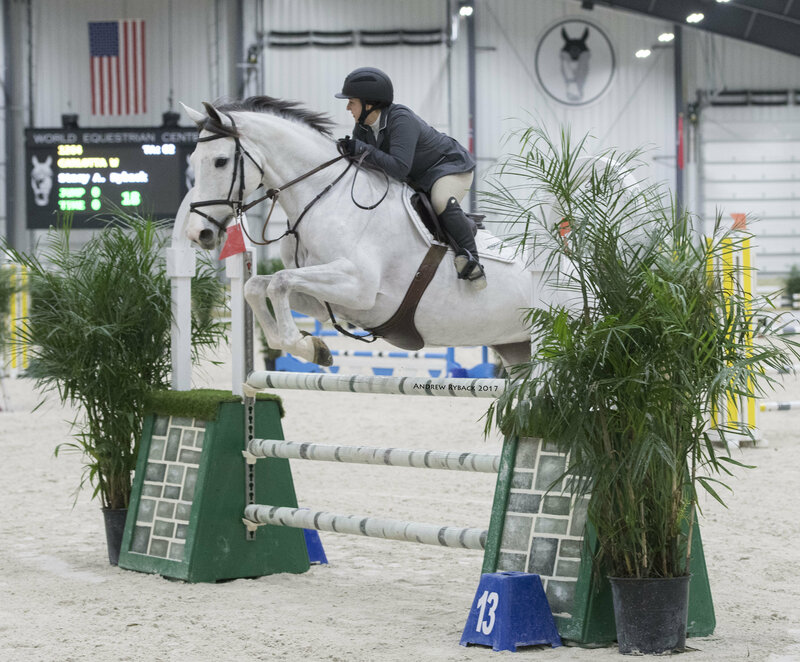 Atkins has a variety of riders, both juniors and adults, competing in divisions from the puddle jumpers to the grand prix and low hunters up to the International Hunter Derby. Liz’s training program is designed around developing and challenging both horse and rider to achieve success at any level. She especially likes to bring along young, green horses to the upper levels of show jumping. 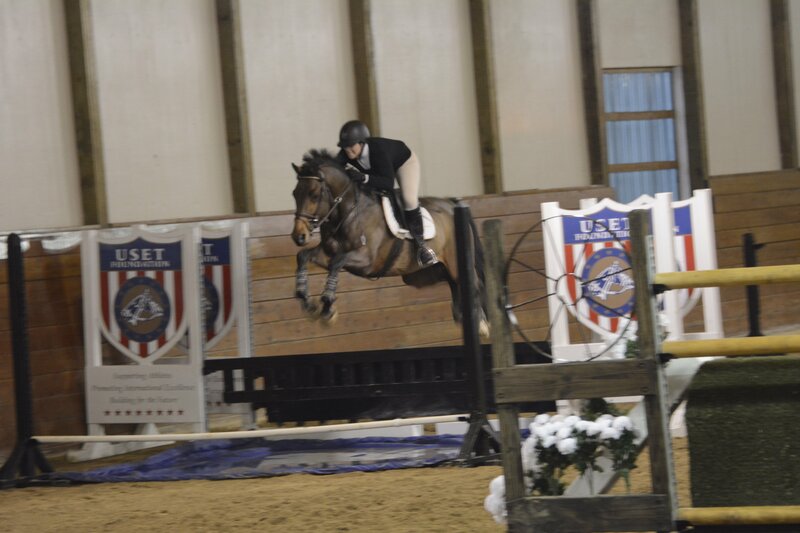 Atkins and her customers already started earning points and ribbons at the World Equestrian Center in Ohio last week. Atkins herself was at the top of the pack in good competition, earning top 3 finishes in the 1.30m on Johnny Bravo, in the 1.35m on Carletta and in the 3'6” Performance Hunters on My Guardian Angel. 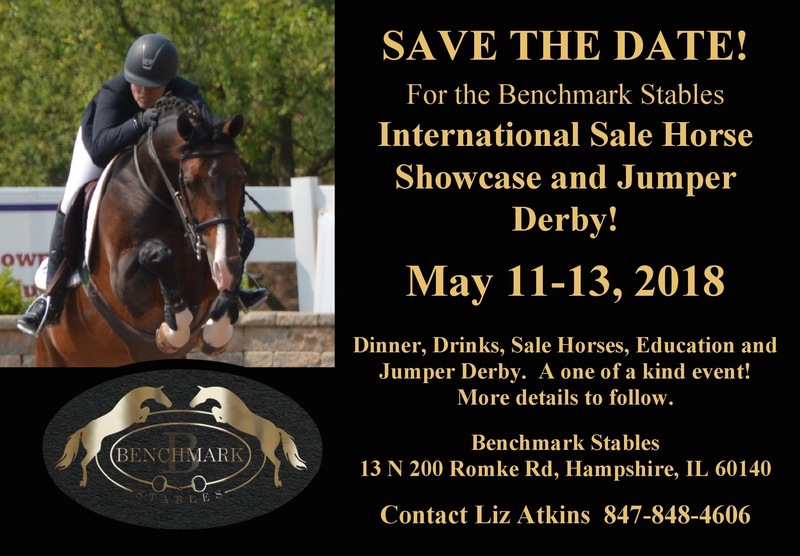 Sponsors, auditors, sale horses, clinic riders and competitors welcome! Contact Liz Atkins ejaneatkins@gmail.com or Brenda Mueller Brenda@M4Eq.com for more information. 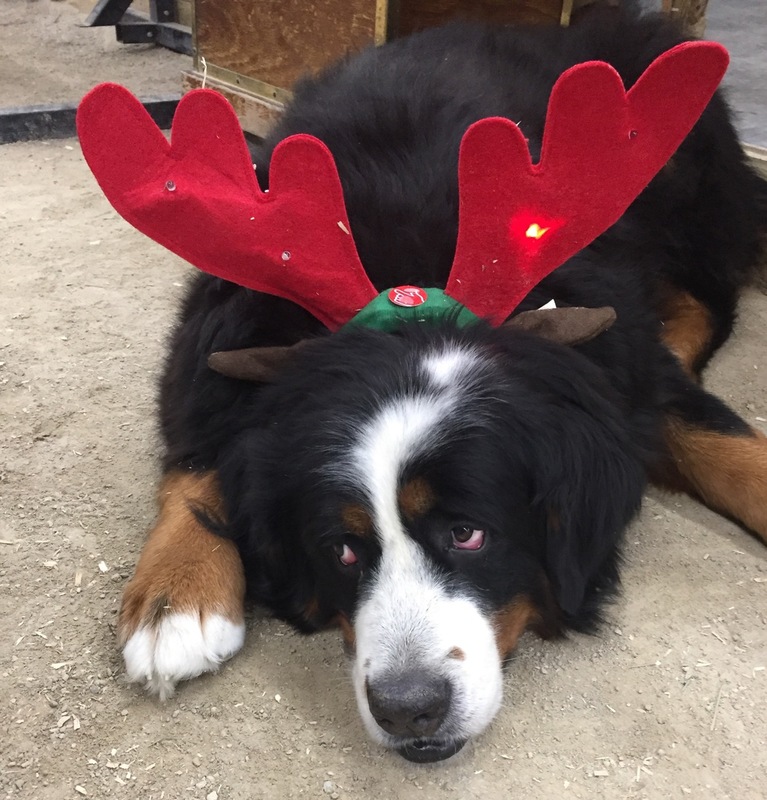 Happy Holidays from the Benchmark Crew!